Ever tried to teach an old dog a new trick? How about teaching two-dimensional traditional artists how to create a three-dimensional sculpture digitally? 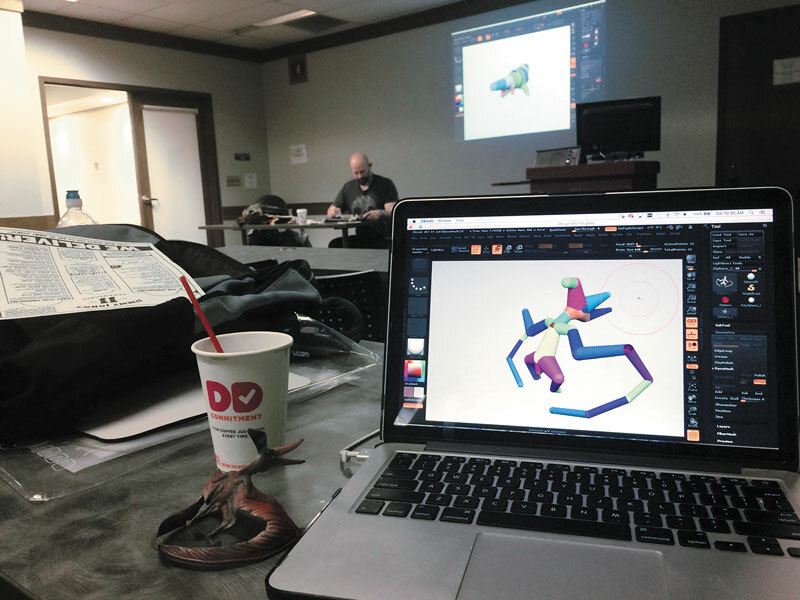 But everyone who attended the 2016 GNSI Education Series Workshop, Leveling Up In ZBrush®, was up for the challenge. The class was taught by David Killpack, Principal & Creative Director at Illumination Studios who uses ZBrush for science and medical illustration. We gathered at Indiana-Purdue Fort Wayne (IPFW) University in the Walb Union Building on October 29 and 30, 2016, for an immersion experience. The workshop was an intense, challenging, and inspiring two days of solid work, and under Killpack’s tutelage, it did not disappoint. 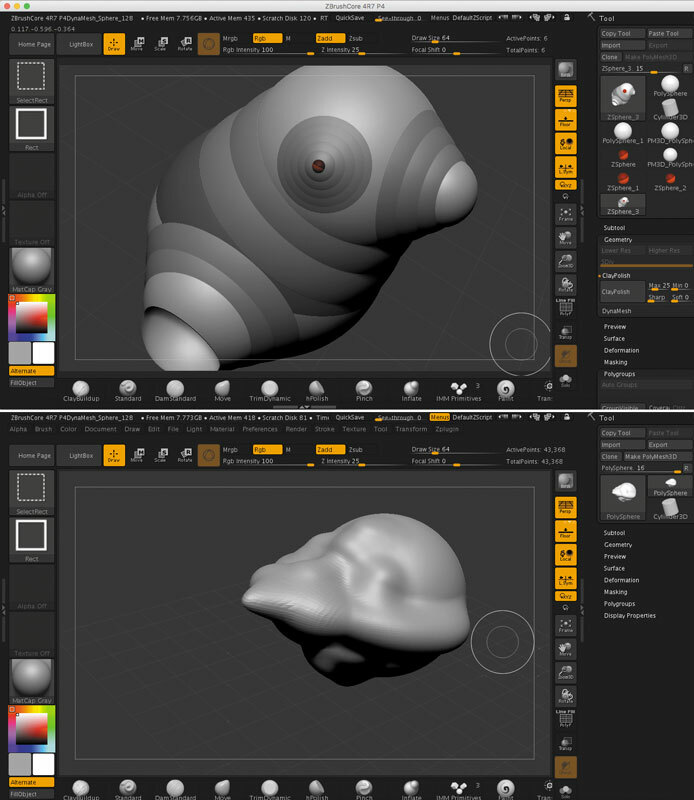 ZBrush, the brainchild of parent company Pixologic™, is a computer program that allows the user to build 3D and 2D models. 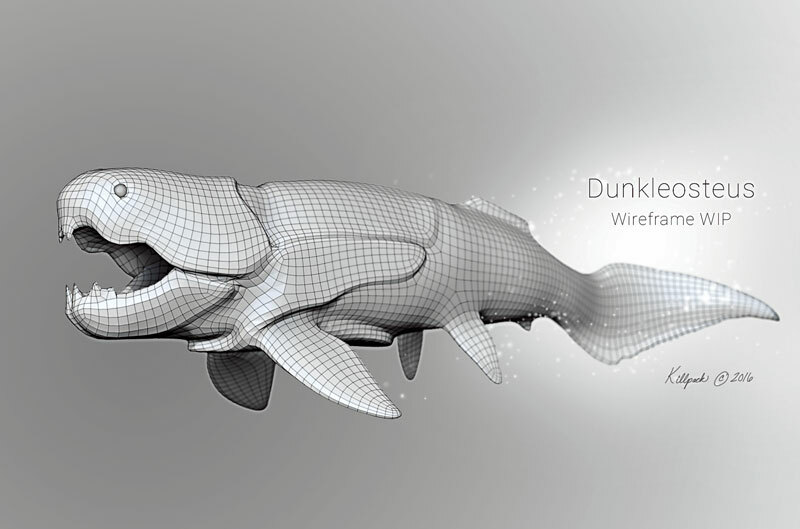 Unlike many other programs, ZBrush gives the user the ability to manipulate the form with a mouse or stylus much like a sculptor would work in clay. The high-resolution models created in ZBrush are used by artists primarily in the gaming, movie and animation industry. “ZBrush is even compatible with 3D printers, so you can print your models and bring them to life,” explains a Top Ten Reviews staff writer (12-9-16). Because ZBrush’s user interface is complex and somewhat counter-intuitive, we began our work by building a basic form; we combined simple round shapes (Z-balls) which can be stretched, widened or added onto as you go, much like a sculpture would use a wireframe to start. Once we had the base form we could begin experimenting with ZBrush’s customizable brushes to add digital clay and begin blocking out our rough form. These customized brushes can add texture and color too. Even lighting can be added at the final stage. And of course, there are those additional sweet spots to the experience, just as one finds when attending the annual conferences. Guild members are excellent at the community-building aspects of professional events, made all the richer by soaking in the regional wonders. We inspire each other, problem-solve our current work projects, and strengthen professional alliances between sessions and over dinner. 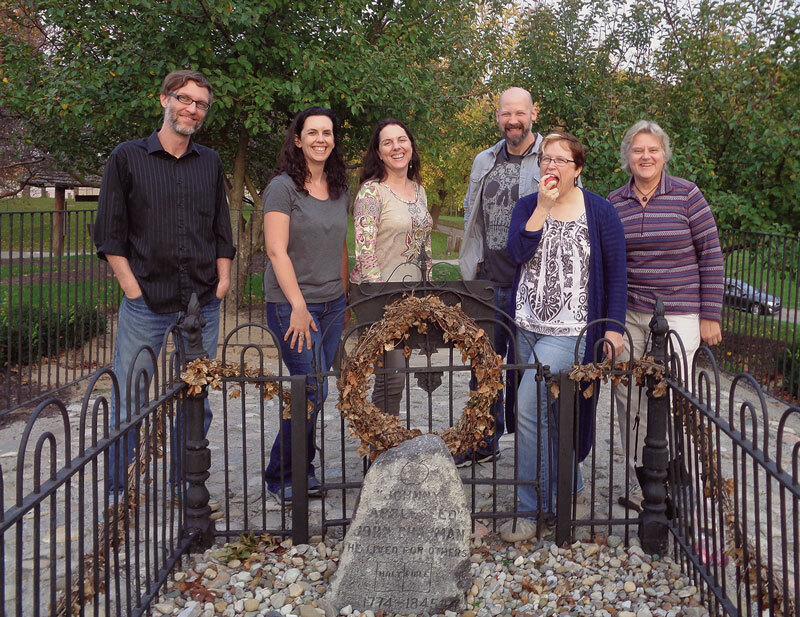 In Fort Wayne, this extended to barbeque feasts, a visit to Johnny Appleseed’s grave, touring “Halloweentown” Street, a sampling of seasonal beer fails, and even a spotting of the legendary Mullett Man of Fort Wayne. Currently, the GNSI is exploring distance learning and other creative options for professional development offerings. But as our 2016 GNSI Education Series Workshop reaffirmed, learning “in a community” and as an immersion experience is still an excellent way to get in-depth, specialized, and well-supported training. 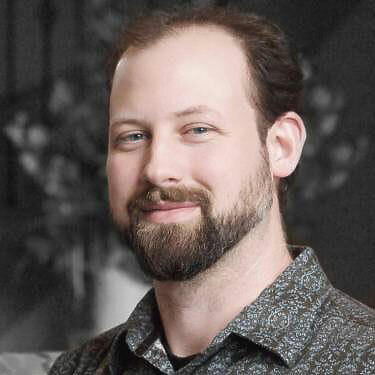 David Killpack is the Principal and Creative Director at Illumination Studios, a full-service agency specializing in enlightening visualization for scientific communication. At a very early age, his artistic talents were coupled with a strong desire to communicate the narrative of the natural world. Growing up on a farm in southwest Iowa, placed him at the interface of “humanity & nature” and endowed him with a strong work ethic. While attending Iowa State University, he was simultaneously employed as a scientific illustrator at Engineering Animation Inc. (1998-1999). He received a BA (BPMI) from ISU in 2000 and began work as a medical illustrator at UT Southwestern Medical Center in Dallas that same year. He served as medical illustration supervisor for several years in the same institution before he left in 2008 to run Illumination Studios full time. He has been honored with a number of awards and recognition from the AMI, Guild of Natural Science Illustrators, New York State Museum, National Science Foundation, Scientific American, and TEDMED. He also serves on the Board of Directors for the Vesalius Trust.